The most magical thing is happening this Saturday. The lovely, sunshiny Molly Yeh is getting married! It’s a winter wonderland wedding, right on her North Dakota farm, and bedecked in lace and snowflakes she’s going to be the most beautiful bride I could possibly imagine. I’m getting emotional about it. Egg wedding! As scattered far and wide as we are, I always find it incredible how much we’re able to share in the special moments that happen in each other’s lives through this blogging thing we do, just through words and photos and the windows on our screens. 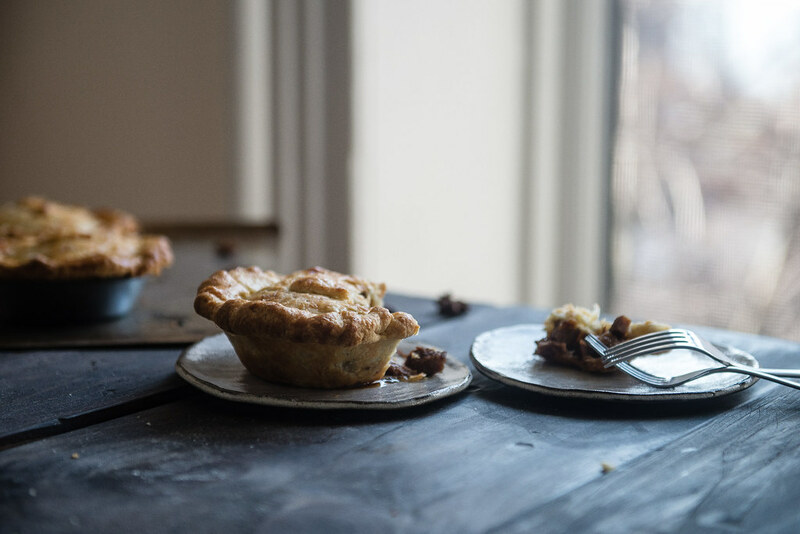 Molly, being one of the warmest, most open-hearted (and creative) people I know, figured out a way to share it with us in the most meaningful way of all — pie! 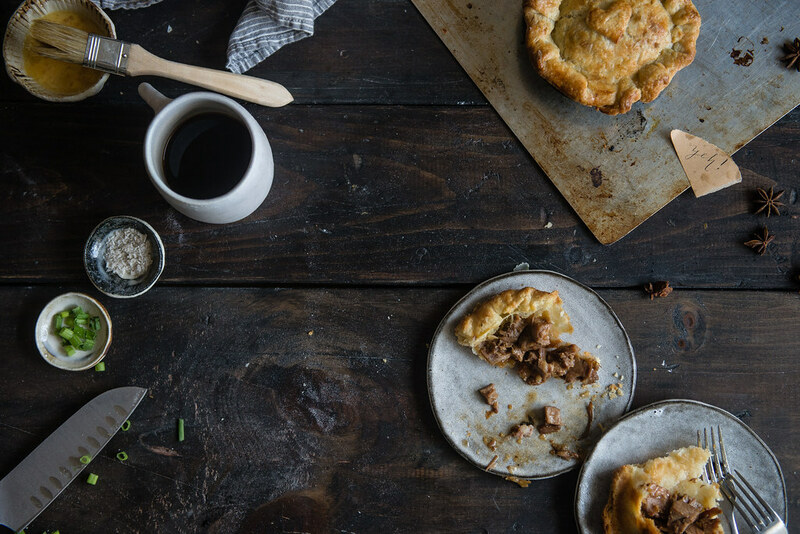 She invited us to send her pie recipes for her and her mama to bake and serve at her wedding — so that, even though we can’t be there to celebrate in person, our food (which, let’s be real, is pretty much a conduit of my existence) can. How awesome is that? 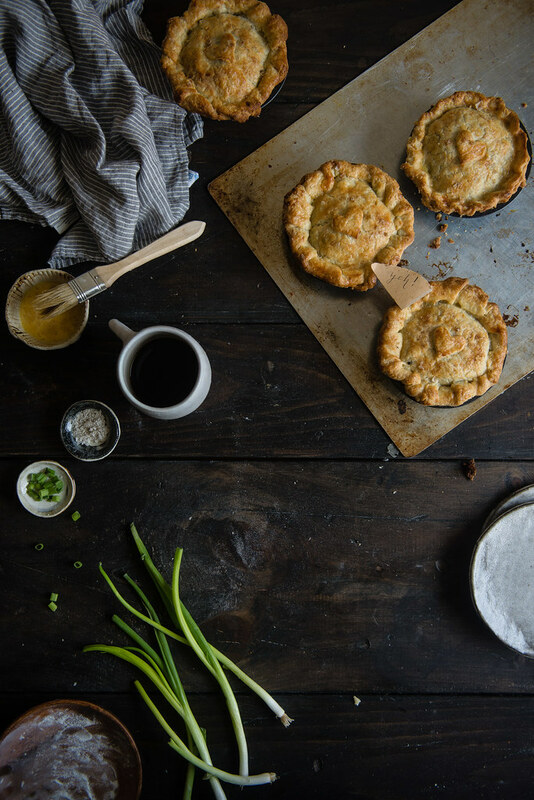 As homage to the master of the mash-up and her scallion pancake challah, these are East-meets-West pot pie love babies. The pie crust hides finely sliced scallions and a touch of Shaoxing rice wine in its flakes, which resulted in the best pie crust I’ve maybe ever made; the pies are filled with Shanghainese red-cooked pork, or hong shao rou, which I love both because it’s delicious and because it’s so fitting — red, after all, is the color of Chinese wedding celebrations. Red-cooked pork is one of my all-time favorite dishes — it’s traditionally made with fat-laced pork belly, pan-fried in a bit of sugar until deliciously caramelized, then slowly braised (oh, how I love braised meat) in soy sauce and magical aromatics until fork-tender and coated in amber syrup. My favorite iterations serve it with hard-boiled eggs and knots of toothsome tofu skin to soak up all that pork flavor. For these, I went with a simple pork-only filling, with a bit of cornstarch to thicken it for the pie; to balance out the buttery pie crusts, I used (barely) leaner pork ribs. Molly, thank you so much for having us be a part of your day. It could not have been more fun or special to spend a cozy, butter-laden Saturday afternoon celebrating from afar. Wishing all the joy and happiness in the world to the most joyous, happy person I know and her Eggboy! Red-cooked pork (hong shao rou) mini pot pies. For ease of preparation for the bride and her mother, but also for you, these can be made in several different steps, and all the components can be frozen before assembling, after assembling, or even after baking. I've noted where to freeze the individual parts. To bake an unbaked pie from frozen, cover the edges with foil to prevent burning, cut small vents in the top crust, and bake at 425 degrees for 15 minutes, then reduce heat to 350 and continue baking for 20-30 minutes or until golden brown and filling is bubbling. After reducing heat, check often to ensure it doesn't burn. To bake a fully baked pie from frozen, reheat at 350 degrees for about 30-40 minutes, checking every 5-10 minutes. Do not thaw in either case. To make the pie crust: Remove the butter from the freezer and let it thaw briefly while you prepare the dry ingredients. Sift together flour, salt and sugar. Sprinkle the scallions over the mixture and mix briefly again to incorporate. Using the coarsest holes on a box grater, grate the frozen butter into the flour, then mix gently with your fingers to incorporate it into the flour until no clumps larger than peas remain. Sprinkle 3 tbsp of the ice water and all of the rice wine evenly over the mixture and stir with a wooden spoon to incorporate. When the mixture holds together when squeezed, it has enough moisture. If not, add more ice water, a tablespoon at a time, until it does. Knead gently a few times to gather it into a dough. Separate into two balls and pat each into a flat disk. Wrap each disk in plastic wrap and place in the refrigerator to chill for at least an hour and up to a day ahead. 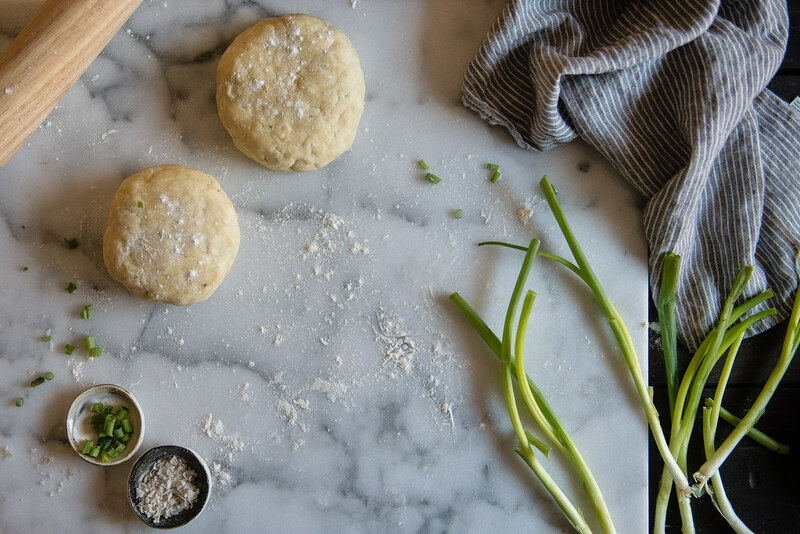 For longer than a day in advance, freeze the dough. To make the pork filling: Bring a large pot of water to boil and add the pork, making sure that there is enough water in the pot to cover it. Boil for about 5 minutes, skimming off any scum as it forms on top of the water. Drain the pork and rinse to remove any scum, then let cool. If the pork is in strips, slice into 1-inch pieces. In a large wok, combine sugar and 1/4 cup of the water over medium-high heat and stir until just dissolved. Continue to heat. The mixture will begin to bubble after a few minutes; swirl the mixture without stirring just until it begins to turn pale golden. Add the cubed pork back to the wok and sauté it with the caramelized sugar for about 4-5 minutes, or until pork is nicely browned. To assemble: Remove the star anise and garlic from the pork filling. Dice some of the larger pork pieces into smaller pieces or shred using a fork. If you used ribs with the bone in, remove the bone. (Note: This is a good time to freeze the filling, if needed.) Preheat your oven to 400 degrees. Remove the pie dough from the fridge and let thaw for a few minutes. Place a portion of dough between two lightly floured sheets of parchment paper and roll it out to about 1/8-inch thickness. 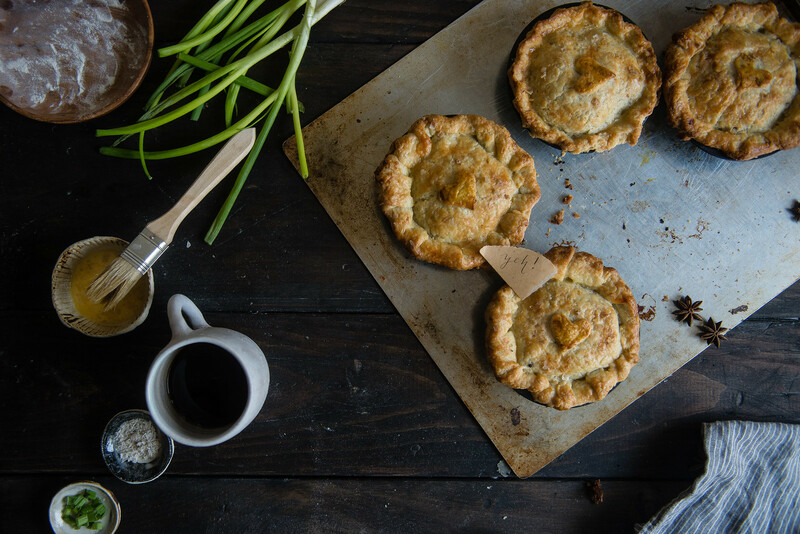 Remove the top sheet of parchment and cut into generous circles for the base of your pies, aiming to size the circles so that there is generous overhang on the edges once placed into the molds. Using the parchment paper, transfer the pie circles to the molds (turning the paper upside down and peeling the circle off works well for me). Repeat this step as necessary until all your molds are lined. 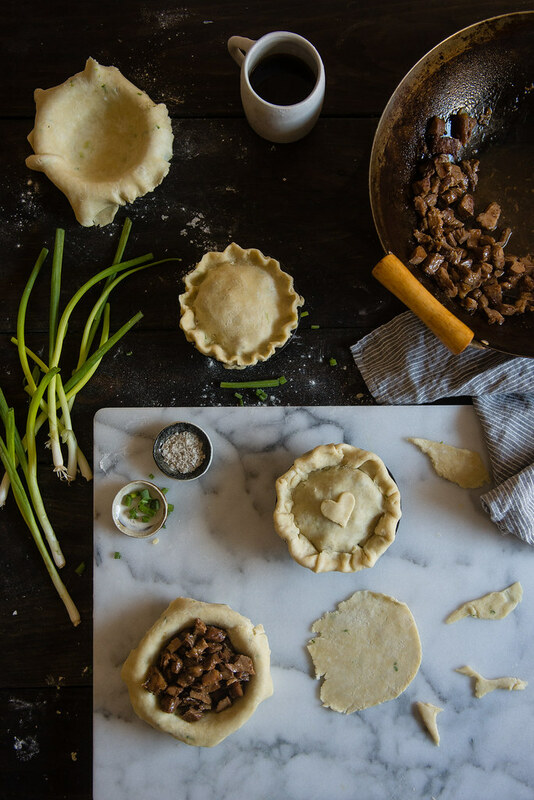 Chill the other pie dough and assembled pie crusts while you work with the portion you have. Spoon in a generous helping of the pork mixture. For 5-inch pie pans, this was about 3/4 to 1 cup. 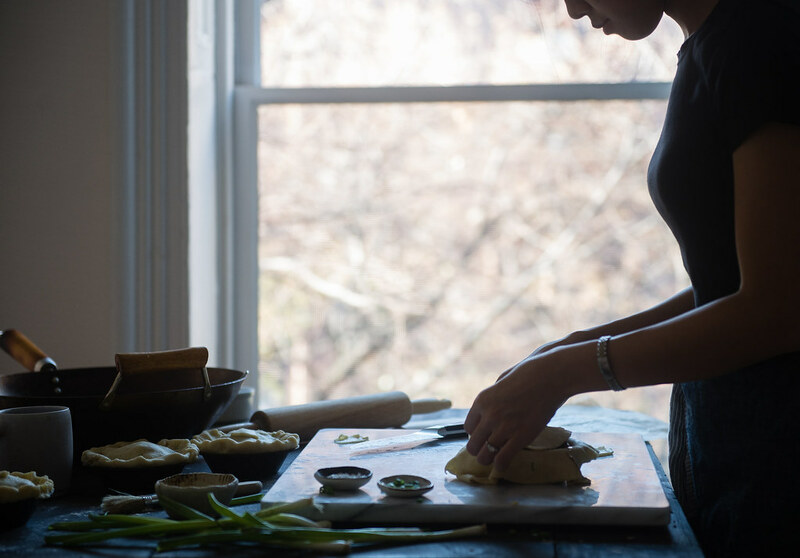 Roll out your remaining pie dough and top the pies with smaller pie circles (about the same diameter as the mold). Fold the overhang from the bottom crust over the pie “lid” and crimp to seal. Use a fork to prick holes in the top. Optionally, you can beat an egg with a splash of water or milk and brush the pie crusts with egg wash, and/or sprinkle the crusts with a bit of flaky sea salt. Finally, bake at 400 degrees until golden brown on top, about 30-40 minutes. Let cool briefly and serve! This does yield a fairly rich and heavy pie. 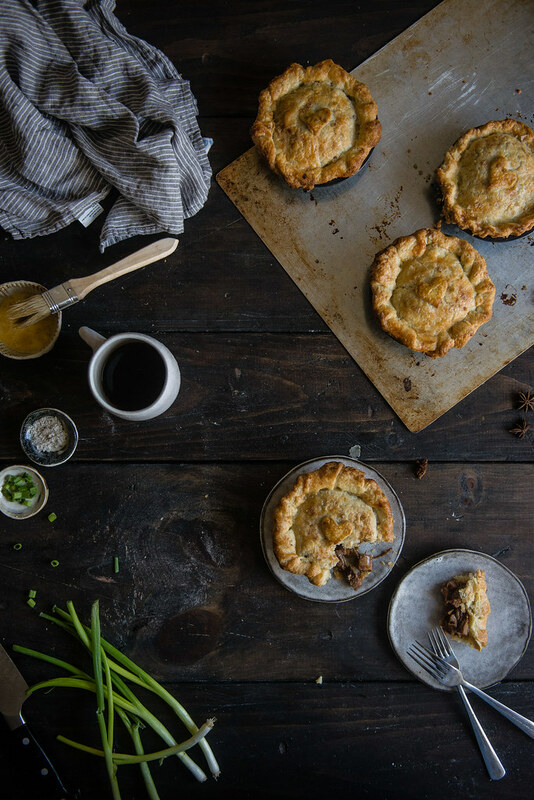 For a more balanced dish, you can halve the amount of pie crust dough and make one-crust pies, with the crust on top only. For these pies, I used these 5-inch Norpro miniature pie pans. Finally, the cornstarch is included here to thicken the sauce and avoid a soggy crust. It's not crucial if you don't have it on hand, and if you plan to make the pork on its own, feel free to omit altogether. Never before have I wanted to make something more. I imagine they could be adapted to post Christmas turkey too. These are definitely going to be made chez the Millers. Thank you so much, Dhanya!! I want is to be in your kitchen right now. I am in love with everything in it from the furniture to the window back drop. Your recipe is so comforting! Red pork belongs rightfully on the Chinese Wedding feast. Molly would be so happy! Aww, you should come right over anytime, Belinda!! 🙂 Though I have to warn you these photos hide all manner of disarray xD (Thank you, cropping tool.) Thank you so much for the kind words, lady! These look AMAZING! Also, can you tell me where you got your small pie pans?? They look great! I made an awesome chicken pot pie from scratch a few weeks back that I’m hoping to get on my blog soon and used a ramekin but would love to get some small pie pans like you have! Also, I feel far too invested in seeing photos of Molly’s wedding even though I’ve never met or baked with her! So excited to see everything! Thank you so so much, Marissa!! And yes!!! They’re Norpro miniature pie pans — you can find them here and I edited the Notes above to list the link, too. 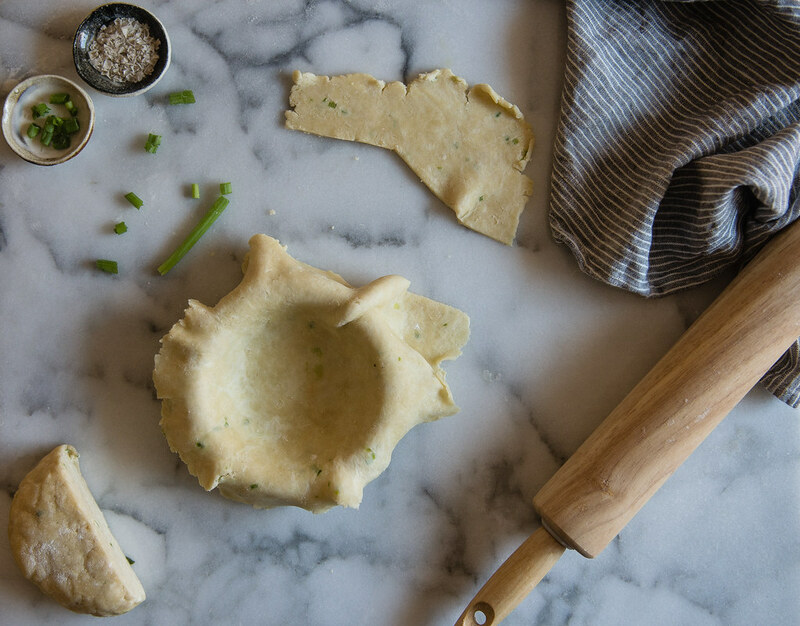 I can’t wait to see your chicken pot pies — I love the idea of pot pies in ramekins! You’re so kind, Ice! Thanks so much 🙂 Happy holidays to you and yours! What a beautiful post, Cynthia. And gorgeous pot pies. They look so comforting! Thank you so much, Liz!! I hope you had a wonderful holiday week last week! Beautiful in every way imaginable. What a lovely way to be present at Molly’s wedding and show her how much she means to you! Molly, I hope your day will be magical. But hey, I’m absolutely sure it will. Yay for the egg wedding! 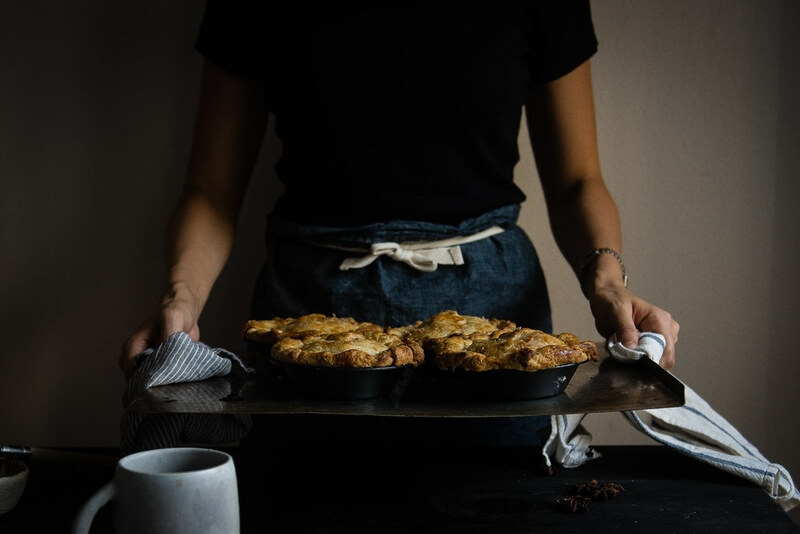 These red pork pot pies are just absolutely phenomenal and a perfect dish for the egg celebration. Seriously though — is there anything better than red cooked pork? I DONT THINK SO. That is just beyond adorable! I knew that Lady & Pups had made a “wedding pie” for Molly, but I figured it was some sort of bloggy wedding shower type thing. She is too creative! And what I would not give for an invite to that wedding pie-stravaganza.. nom. I simply love how this sounds, such a beautiful combination of heady spices, rich pork, earthy, spicy scallions. These are so amazingly lovely! When you were describing how the pork was caramelized and then braised in soy, it felt as if you were speaking directly to my soul. And that scallion crust, whoa. So much goodness going on here! I CANNOT wait to see the pictures from Molly’s wedding. Red Pork Pot Pies.. amazing my friend and congrats to Molly! Beautiful!! I grew up eating hong shao rou (my parents are from Shanghai, which makes me Shanghainese I suppose! ), and I’m also obsessed with pie, so this is kind of the perfect combination :). These are brilliant, I will make these. Hope Molly has a great day! Yeh! Love this Cynthia! Looks so wonderful and love the twist you’ve put on it! Have an amazing Christmas! How very, very sweet! The dish sounds great, and I know Molly’s wedding will be amazing. 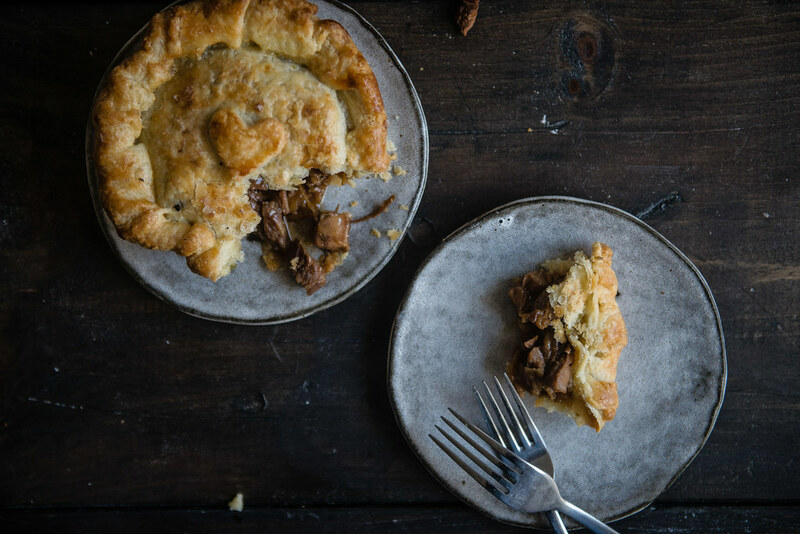 I ate a delicious pork and stout pie yesterday…I have a suspicion yours are sooo much better! totally perfect, lady. 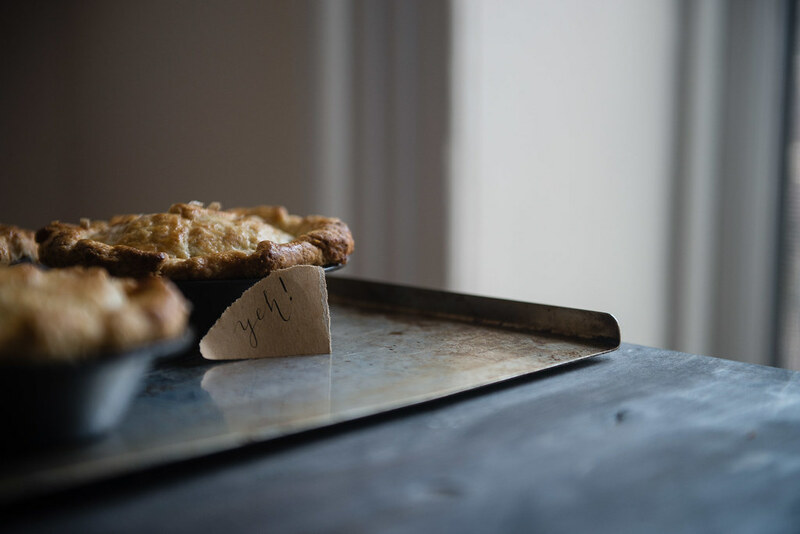 love your lovely touches from the little hearts, to the little yeh sign! so much happiness 🙂 wishing you and bowl #2 the happiest of holidays! xoxo’s, friend. This is my new comfort food! This will get us through the long Boston winters. I made this the other night for a party and people raved and raved. Molly is the sweetest and I am so excited for her and egg boy! I love that you guys can share such an awesome connection from so far away, very cool! AND Your pies! I want them at my wedding some day, amazingness! 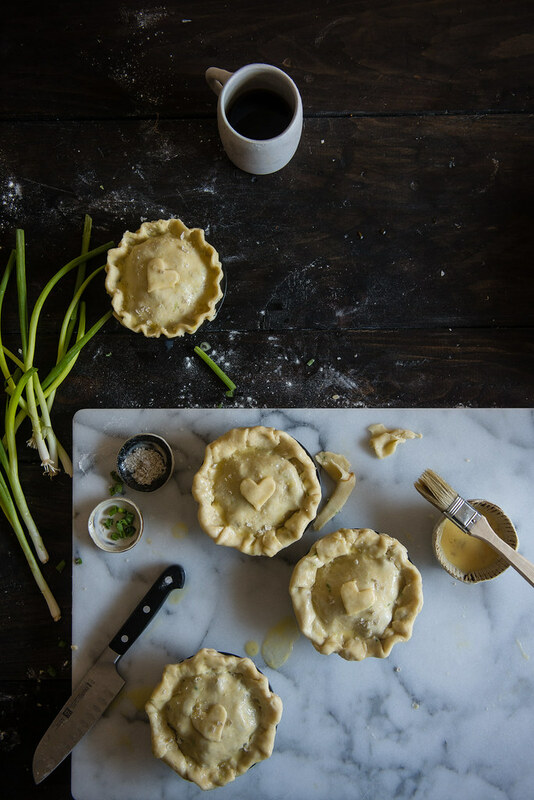 These are quite possibly the cutest pot pies I’ve ever seen, love! what a lovely pie gift! Ah, how delicious does this look?!!! And it’s so sweet to read about the closeness you gals have been blessed with through blogging. Molly seems like such a sweet and fun person, as do you 🙂 Also…this kind of reminds me of something like a combination of empanadas with an Asian twist to them. Mmmmm~And Merry Christmas and wish you guys all the blessings, take care Cynthia! these look lovely! happy holidays! Oh my gahhhhh – that photo of you in front of the window! TOO lovely. These look insanely delicious Cynthia – you’re a genius! These are adorable! You’re such a creative cook, wow 🙂 Merry Christmas! These are so adorable + sound so delicious!! So cute of you to do this for Molly! I spent four hours trying this recipe this past weekend! I used boneless pork tenderloin rather than ribs.The water took forever to boil and I wasnt sure about caramelizing the sugar. I also doubled the recipe to serve my house family which ended up meaning a lot more time simmering, boiling, and making pie dough. This recipe isn’t a joke! but the result was priceless. The meat was so tender and flavorful. My family loved it. Thanks for sharing!